If you live in the US, you are probably experiencing the some brutally cold weather right now. I know we are! I saw -10F on our thermometer this morning. This kind of weather is hard on everything and especially heating systems. Our house is primarily heated by a cold climate air source heat pump. 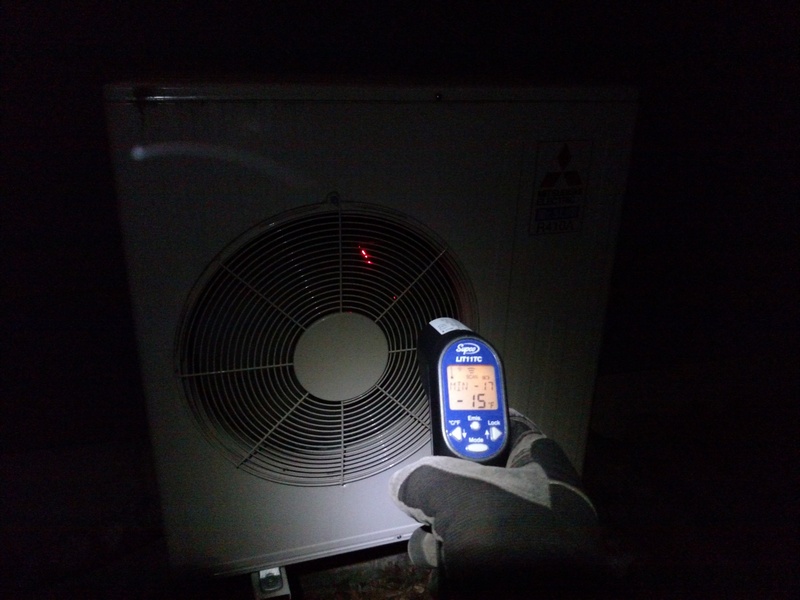 For the skeptical out there wondering, “Can you really get heat from the air when it is below zero outside?” The short answer is, “Yes.” When I got home last night, the heat pump was blasting the room with hot air and I knew I had to document it. In this photo, the IR sensor is showing the heat exchanger coil of outdoor unit at -15F. The fan was blowing right on me when I took this photo and I nearly got frostbite! Talk about windchill! 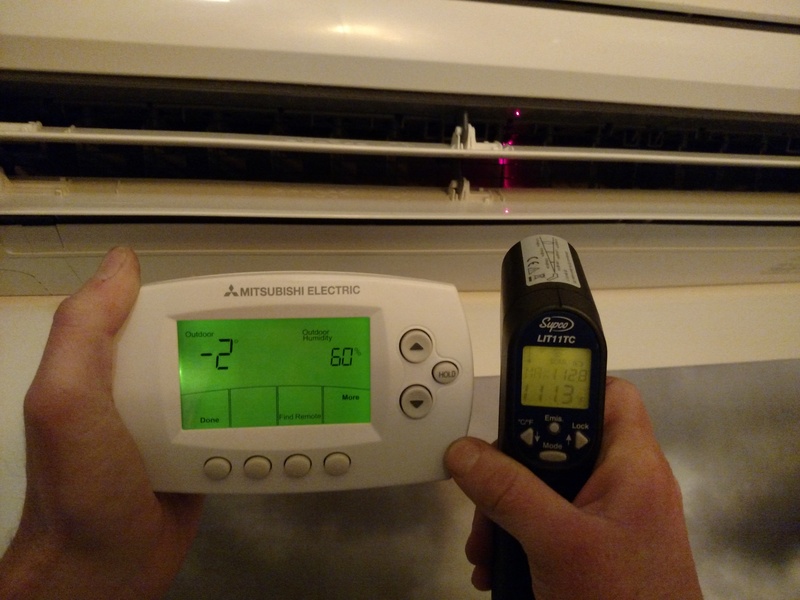 As you can see in these 2 photos, the heat pump is able to extract energy from subzero ambient air and deliver usable heat to the house. Chalk one up for technology!